This photo is inscribed "To Judge Bartlett, Something to say, What shall it be, Just two words, Remember me. Priscilla Dean." 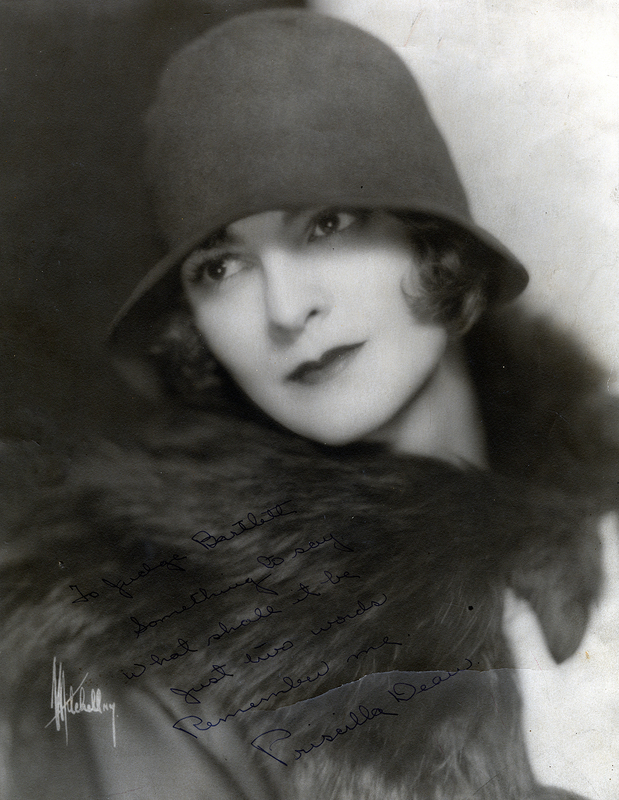 She was an actress in silent films and the theater. She was divorced from the actor Wheeler Oakman in the mid-1920s.